MIAMI BEACH, Fla. – The family of a construction worker who was killed in a Miami Beach building collapse has filed a wrongful-death lawsuit against the companies that oversaw the demolition. Samuel “Ty” Landis, 46, was critically injured on July 23 when the former Marlborough House condominium building in 5700 block of Collins Avenue suddenly collapsed. Landis was struck by flying debris and died of his injuries more than a week later. Authorities said the former Marlborough House condominium building had a demolition permit but did not have an implosion permit, which would allow contractors to bring the structure down in one fell swoop. Police said something happened during the controlled demolition that sent the entire building crashing down at once. 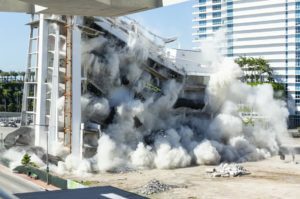 The lawsuit alleges that the companies knowingly moved forward with the implosion plan even after Miami Beach officials repeatedly denied their requests for safety reasons. The collapse shut down the surrounding area for hours as rescue crews searched through the debris for possible victims. Landis was the only person hurt in the incident. 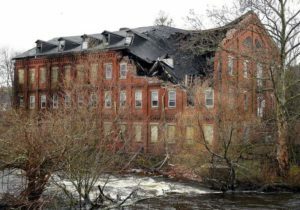 Osber said the companies failed to keep workers, bystanders and traffic at a safe distance and even encouraged the public to watch the demolition. A requests for comment from AlliedBean Demolition and Winmar Construction were not imediately returned.